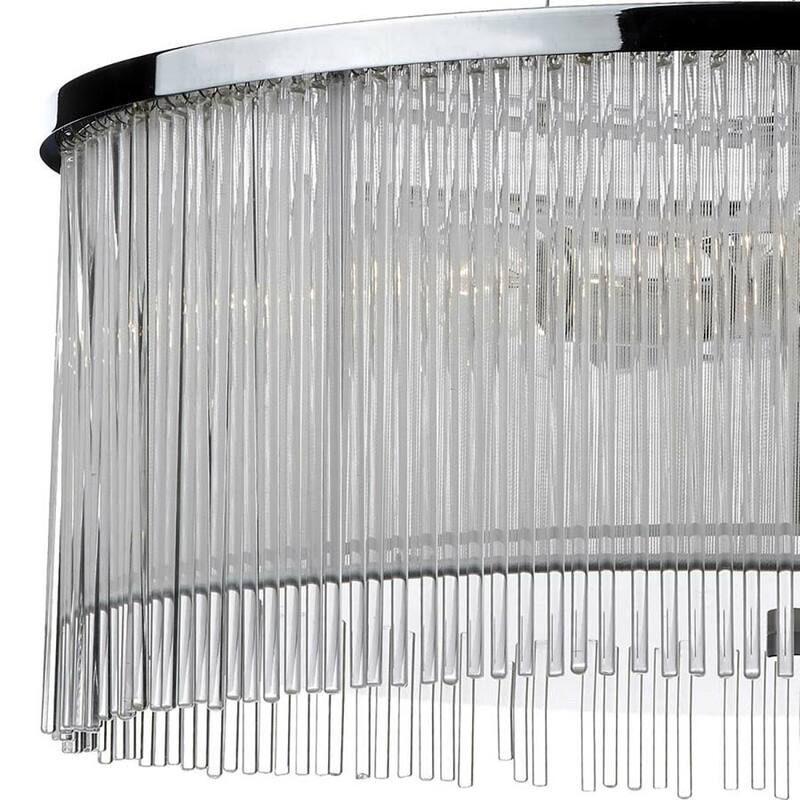 Polished chrome ceiling mount and three cables supporting a chrome framed shade housing the three lamps. 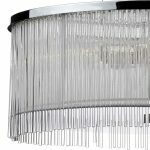 The outside of the frame is surrounded by clear glass rods and an inner white string shade for a softer glow. 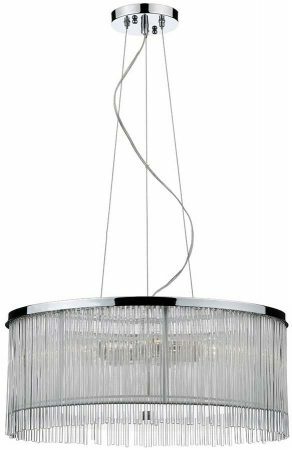 This is a dual mount pendant, supplied with cable suspension that can also be mounted flush to the ceiling where height is limited. 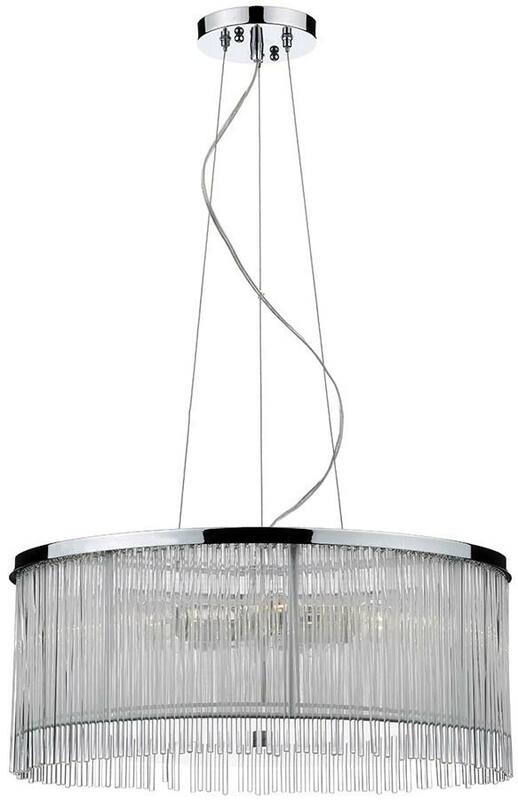 A stunning three-light pendant finished in polished chrome, supplied with ample adjustable cable and flex. Minimum height 32cm, maximum 200cm. A fantastic value dual mount fitting that would be ideal for use as a living room center piece and fantastic installed in a dining room over the table. Please note that there are no other fittings that match the Japan ceiling pendant.